Greetings from i Creative Ideas! No time or space for your own vegetable garden? No worries! You can still enjoy growing vegetables at home. 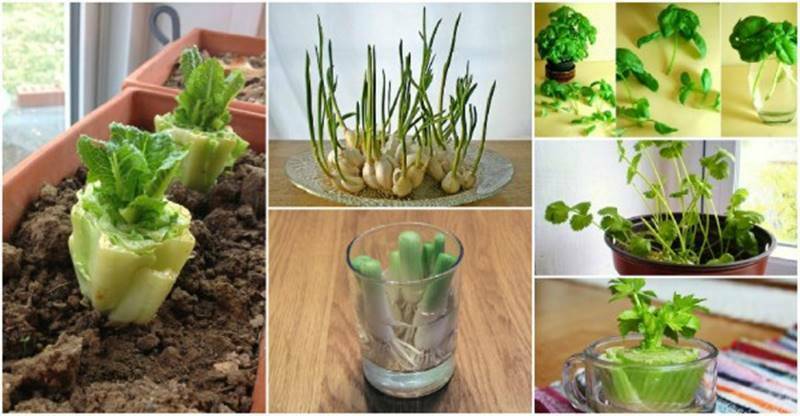 There are some vegetables that you can regrow again and again from kitchen scraps. 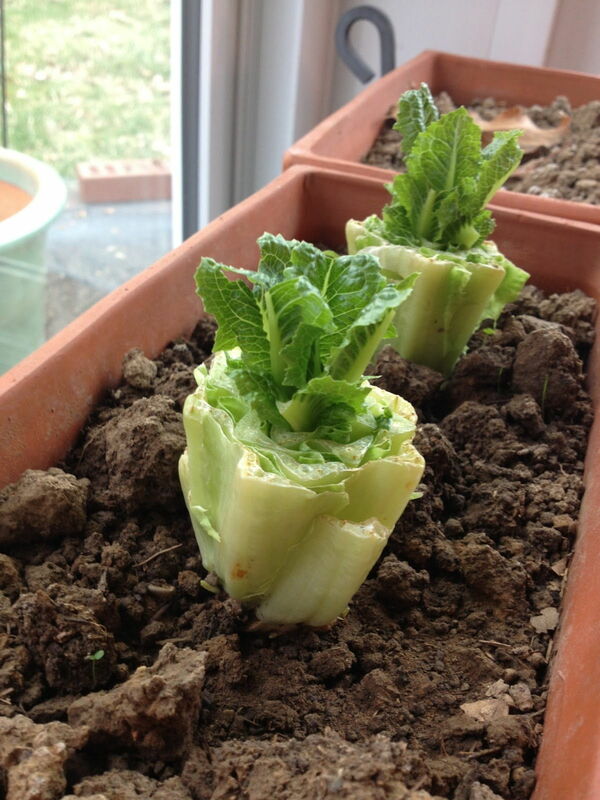 Here at i Creative Ideas, we have come up with a roundup of 13 vegetables that you can regrow again and again. Examples include lettuce, celery, bok choy, sweet potato and basil. They are super easy to grow. You’ll just need a little bit time and patience to take care of the new plants and make sure they have the necessary water and sunlight. But the benefits are huge. You will have your own organic vegetable garden with regular supply at essentially no cost! In addition, projects like these will be great activities or fun experiments for the kids. They will have fun watching the scraps sprout and regrow. It’s a great way for the kids to learn about recycling and how plants and food can grow. Sounds magical? Let’s get started! You can regrow romaine lettuce from the bottom of the stump. Just put the romaine lettuce stumps in half inch of water for a few days. Refill water if the water level is below half inch. 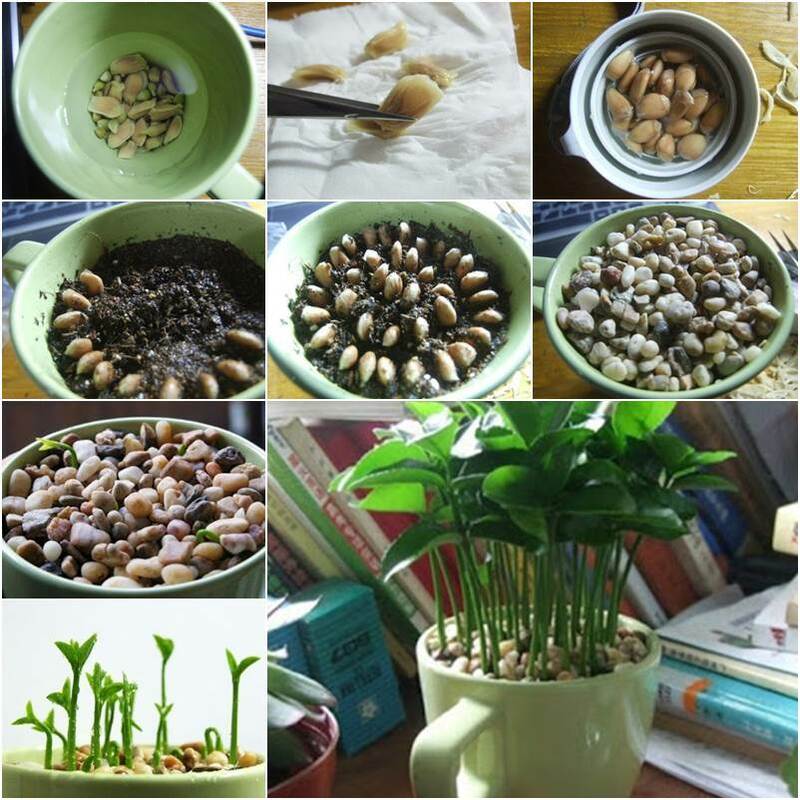 When new leaves start to regrow, you can transfer and plant them in soil. Tutorial via Fast, Cheap, and Good. 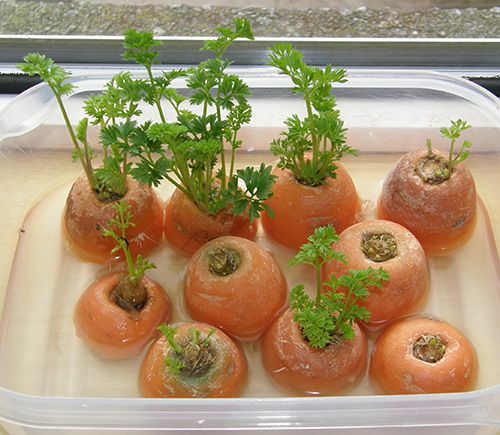 The leaves of carrot are actually edible and you can regrow them by putting carrot tops in water in a well-lit room or a window sill. This is a clever way to turn your carrot scraps into salad. Tutorial via Fidgety Fingers. 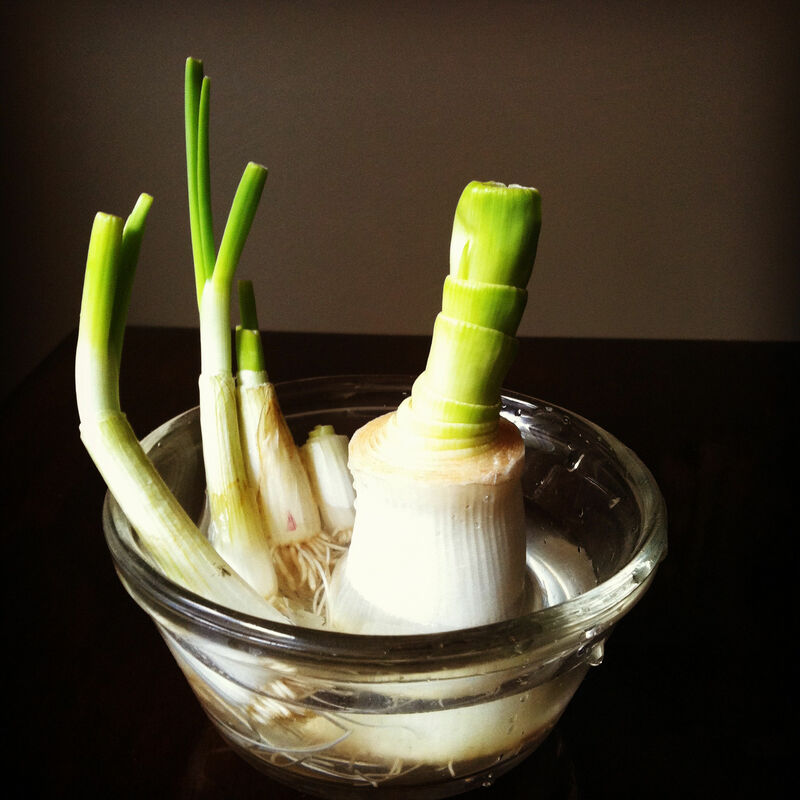 Green Onions are probably the easiest vegetables to regrow. 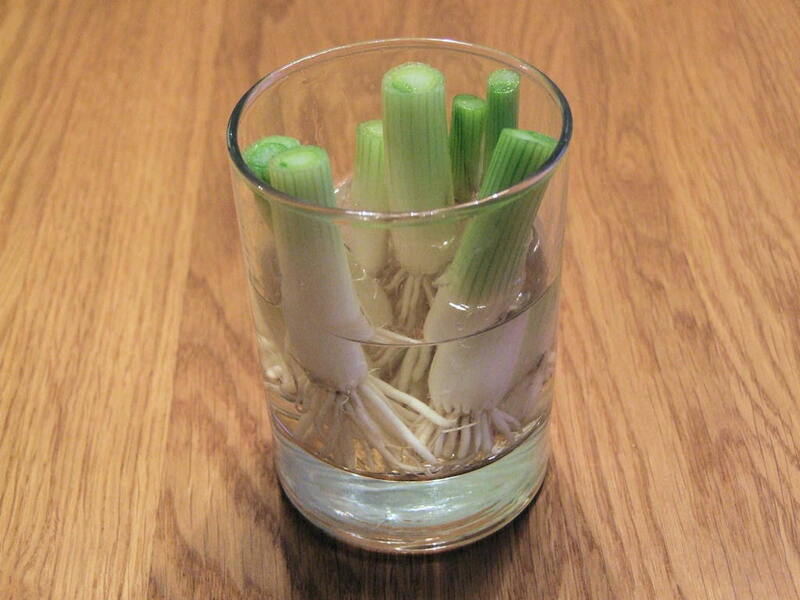 You can regrow green onions by cutting them in about an inch from the roots and placing them in a glass of water. Tutorial via We are not Foodies. You can regrow garlic sprouts from a single garlic clove. 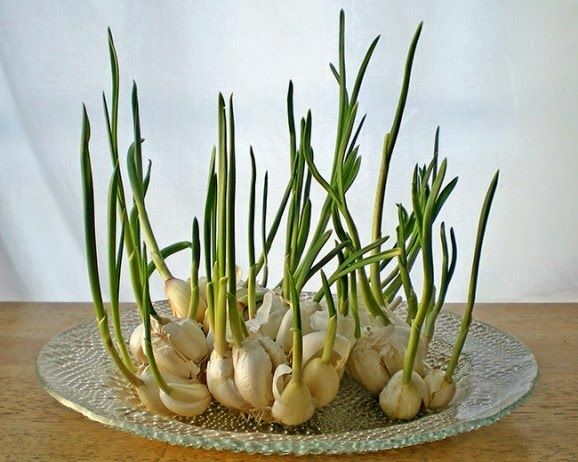 Just place the sprouted garlic cloves in a glass with little water and wait for the shoots to grow taller. 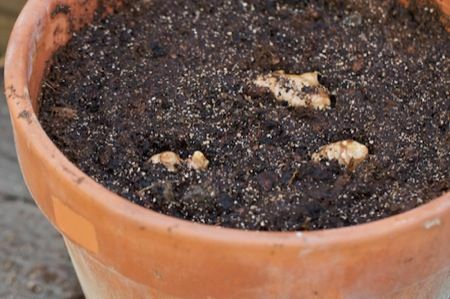 Alternatively, you can plant garlic cloves directly in the soil. Tutorial via Simple Daily Recipes. Image via Nancy Enge Design. 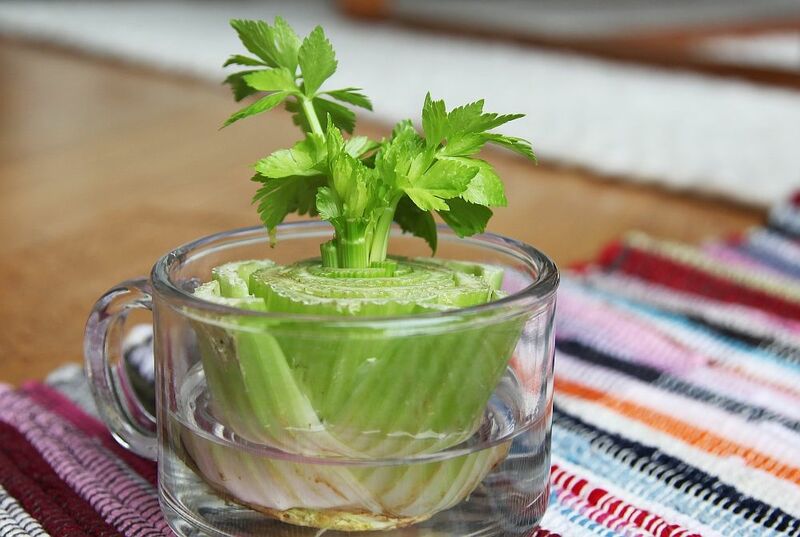 You can regrow celery by cutting off the base of the celery and placing it in a bowl of warm water in a sunny spot. The new leaves in the middle of the base will begin to grow and thicken in 5 to 7 days. Then you can transfer it to a pot with soil. Tutorial via 17 Apart. 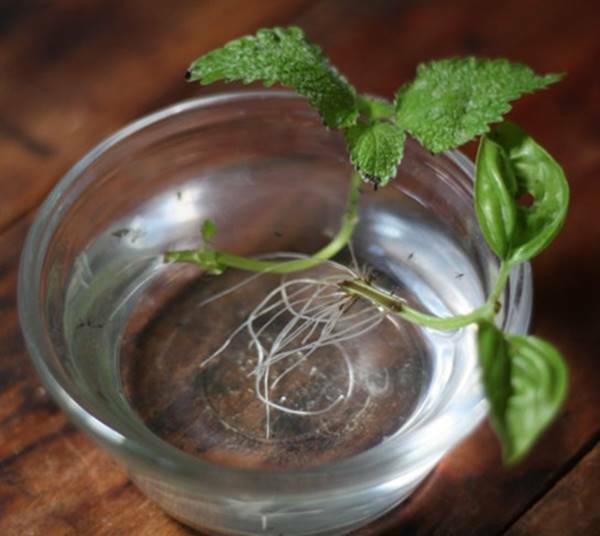 You can regrow cilantro by placing the stems in a glass of water. 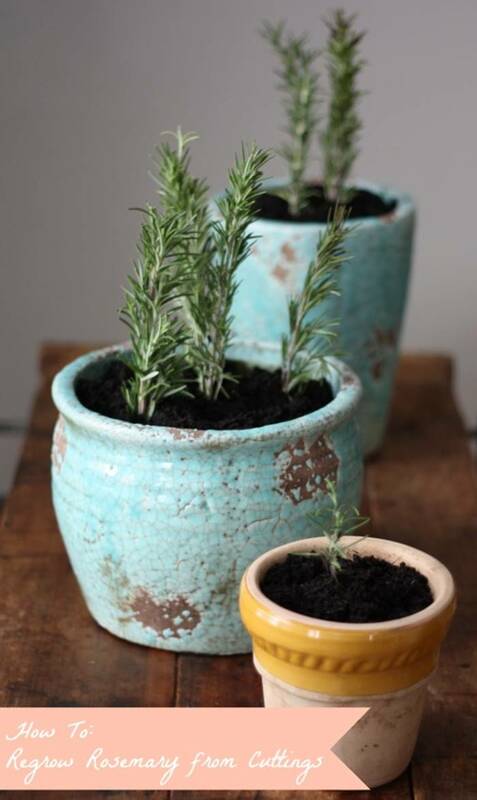 When the roots are long enough, you can transfer them to a pot with soil in a sunny spot. It will take a few months for a harvest. Image via Green Jean. 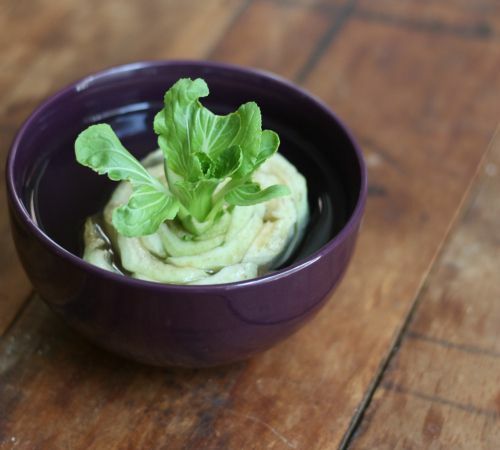 You can regrow bok choy by placing the root end face up in water. In a few days, you will see it starts to regrow. And in 1-2 weeks , you can transfer it to a pot with soil to let it grow a full head. Tutorial via 17 Apart. 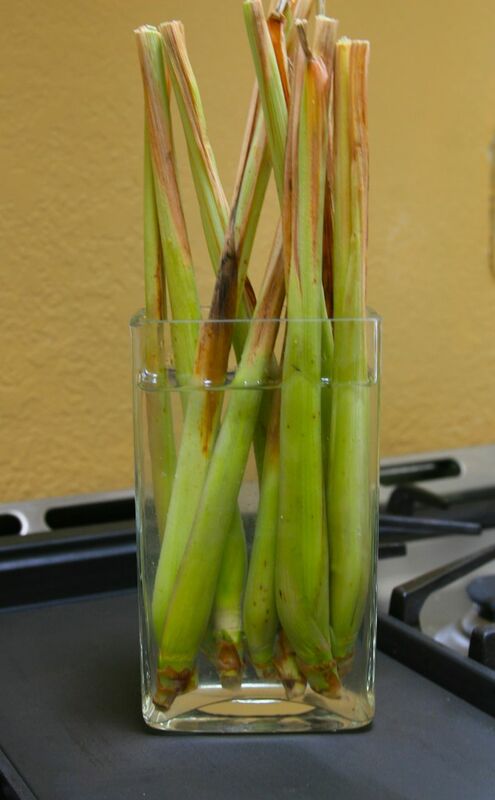 You can regrow lemongrass by placing the stalks in water. When the roots come out in 2 to 3 weeks, you can plant the lemongrass stalks in a pot with soil in a sunny place. Tutorial via Suited To The Seasons. You can regrow ginger by soaking ginger chunks overnight in water and then transferring them in a pot with soil in a warm and sunny place. Tutorial via Chiot’s Run. 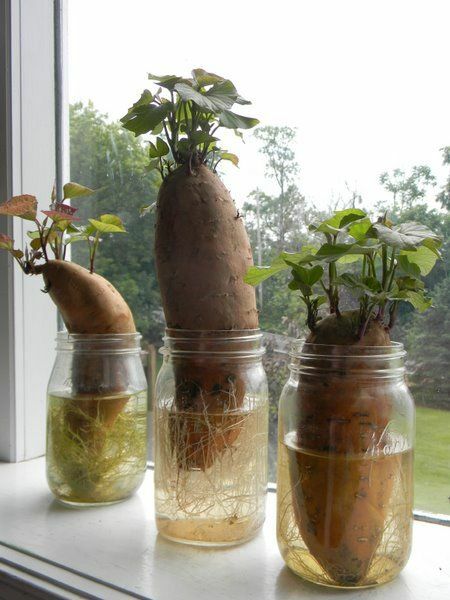 You can regrow sweet potato by placing it in a jar of water in direct sunlight and letting it sprout. Then plant the well-rooted sprouts in soil. 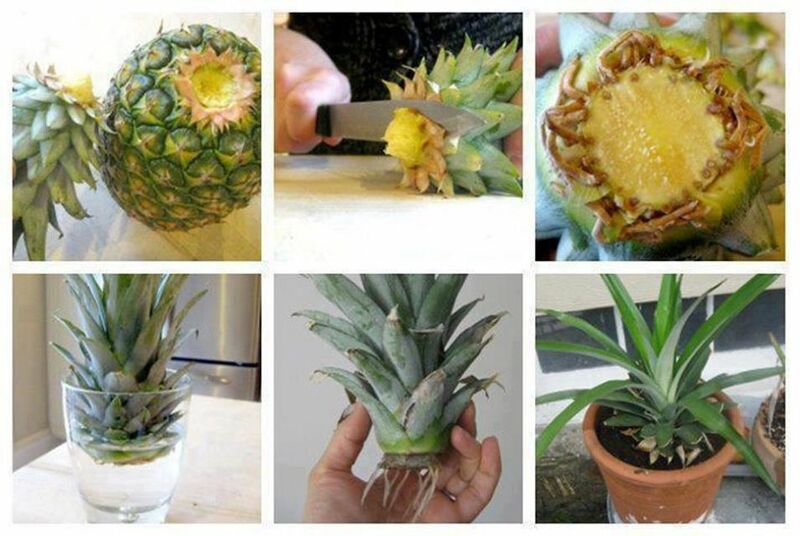 Tutorial via Home Joys. 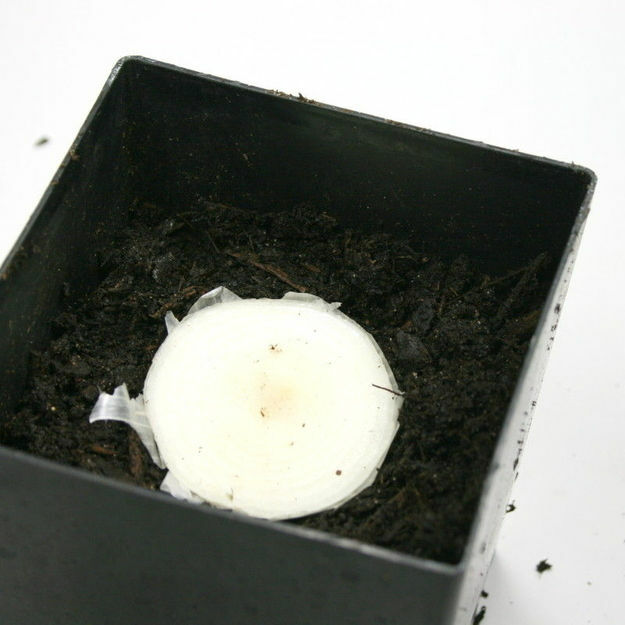 You can regrow onion from the bottom of the onion. Just cut off the onion bottom, let it dry for some time and plant it in soil. Tutorial via Instructables. Regrowing leeks works the same as regrowing green onions. Just cut them in about 2 inch from the roots and place them in a glass of water. Image via Enchanted Wellness & Fitness. Rosemary can be propagated and regrown by cutting 2-3 inch from the tops of the rosemary stalks and placing them into water. When the new roots sprout, you can transfer them into soil-filled containers. Tutorial via 17 Apart. 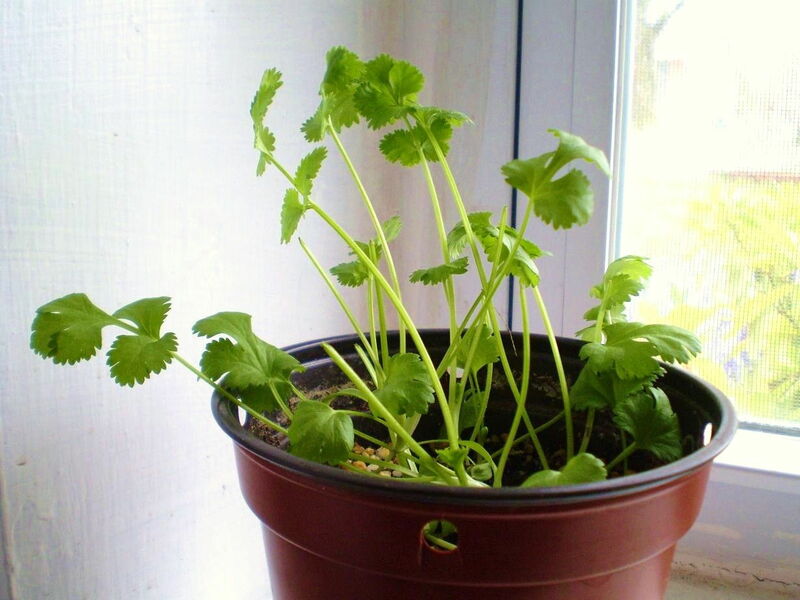 Similar to basil, lemon balm can be regrown by putting a 2 to 3 inch cutting down the stem in a glass of water. When the roots are long enough, you can plant them in pots. Tutorial via 17 Apart. 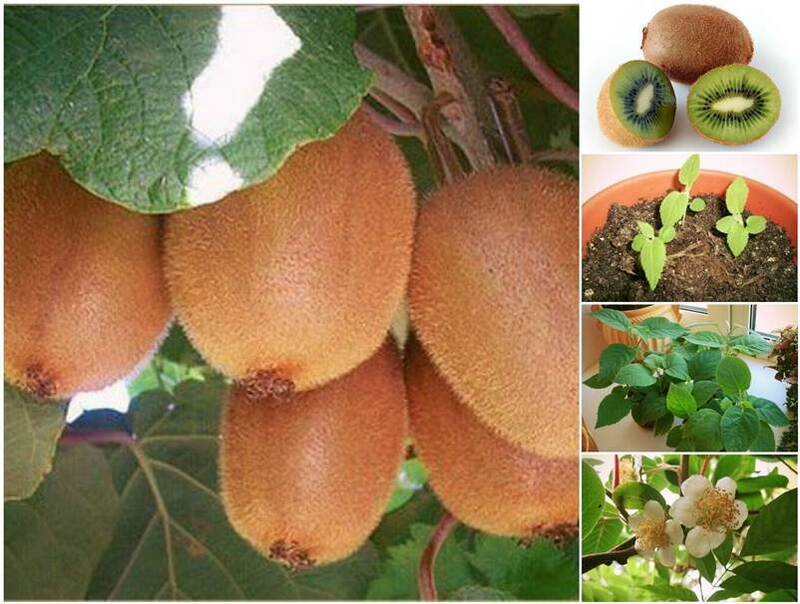 There are some fruit plants that you can regrow from scraps or seeds. The followings are some examples for you. Enjoy!